At least three people have died and at least 200 more were injured after an earthquake struck Japan’s northern Osaka region on Monday morning. A strong earthquake knocked over walls and set off scattered fires Monday morning around metropolitan Osaka in western Japan. At least three people have died and at least 200 others have been injured. The quake hit at 7:58 a.m. and initially measured a magnitude of 5.9 but was later raised to 6.1, according to Japan’s Meteorological Agency. The agency added the quake occurred at a depth of about 6 miles (10 kilometers) and no tsunami warning was issued. In the larger Osaka Prefecture 170,800 homes and buildings were without power for several hours and water and gas were also off. Police said people were believed to be trapped in dozens of elevators. Japan has experienced several earthquakes in the last few days, including 4.5 and 4.6 quakes near capital Tokyo over the weekend. 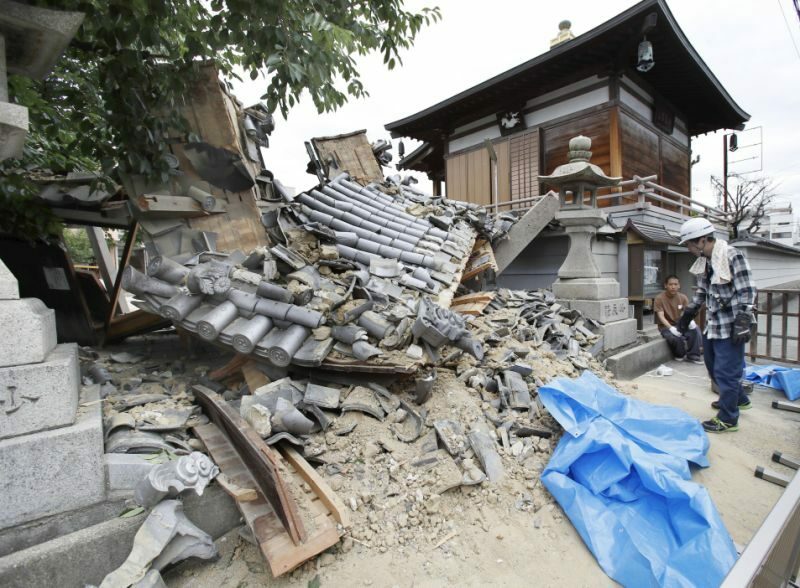 At least three people have died and at least 200 more were injured after an earthquake struck Japan's northern Osaka region on Monday morning.